Enjoy extra protection from fire and a stylish look with the Rasco FR workshirt. This FR cotton shirt features the look of a basic button-down shirt with denim finish, button sleeves, and button down pockets. Durable enough for wearing in demanding work environments, it’s also clean enough for meeting with clients to review plans. 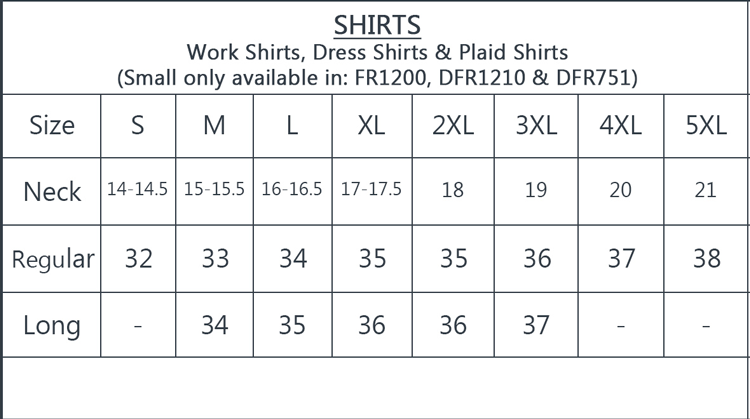 The shirt comes in a range of sizes, including Big and Tall options. Embroidery can be added in your choice of color and either script of block print. You can also choose if the embroidered name will be placed on the left or right side. The shirt if flame resistant with a rating of HRC 2 ATPV 20 calories per centimeter squared. It’s crafted out of 11.5-ounce cotton for a shirt that’s comfortable and soft. Pearl snaps are functional and attractive. The shirt can be paired with flame resistant pants and jacket liner for an added layer of protection, or it can be worn alone to help you stay safe in extremely hot work sites. Everything was great. Much thicker than anticipated but great quality. The shirts that I ordered were out of stock. The next day I got a phone call from FR Depot . They stated that they would be on back order for two weeks. I ask them what they had in stock . The two they sent me were great . This place is the best 10 out 10. Rasco FR is the good stuff.